"Well if that doesn't beat Banagher!" 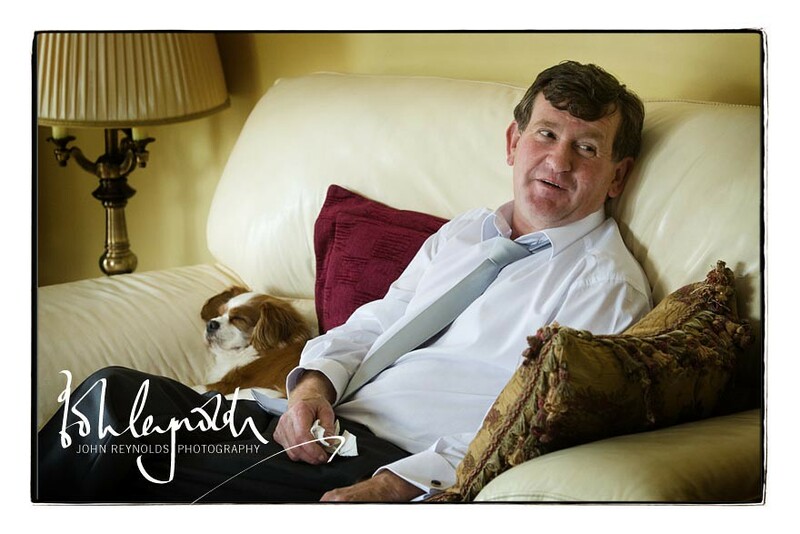 We've all heard the quote, and apparently it comes from the fact that Banagher was once a 'pocket borough', which meant the local lord was able to nominate its representatives in Parliament. The town became famous for this lack of democracy, so if something was really odd, it was said to 'beat Banagher.' Joyce, Trollope and Plunkett, amongst others, have used the expression in their novels. 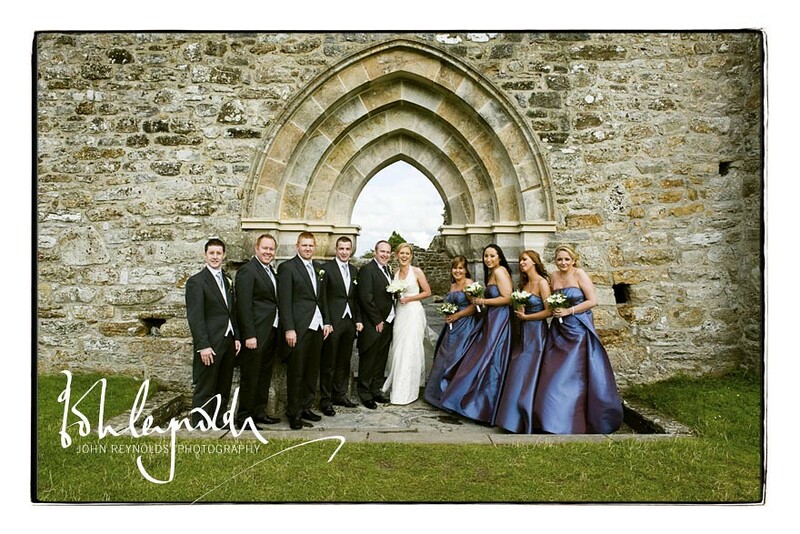 On Friday, Banagher would have taken a lot of beating, as a great crowd gathered for Triona & John's wedding. 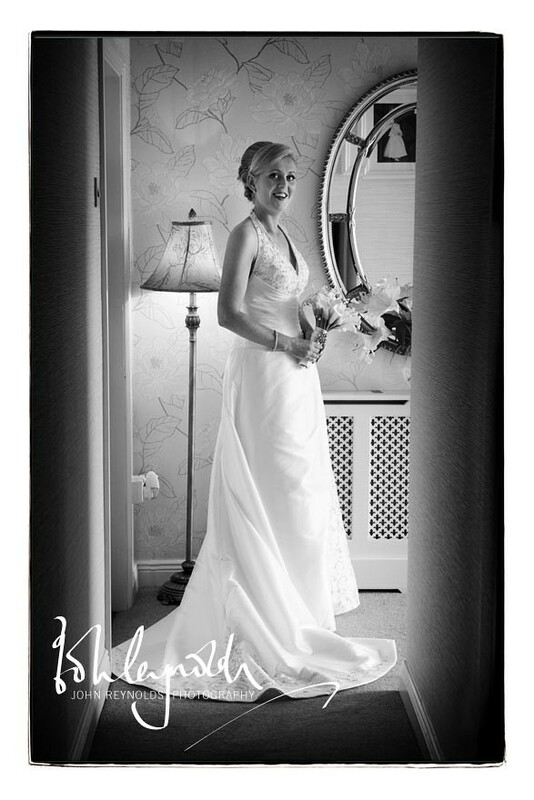 Most of them seemed to arrive in Triona's house before the ceremony too - I have never seen so many people in the bride's house on the morning of a wedding. 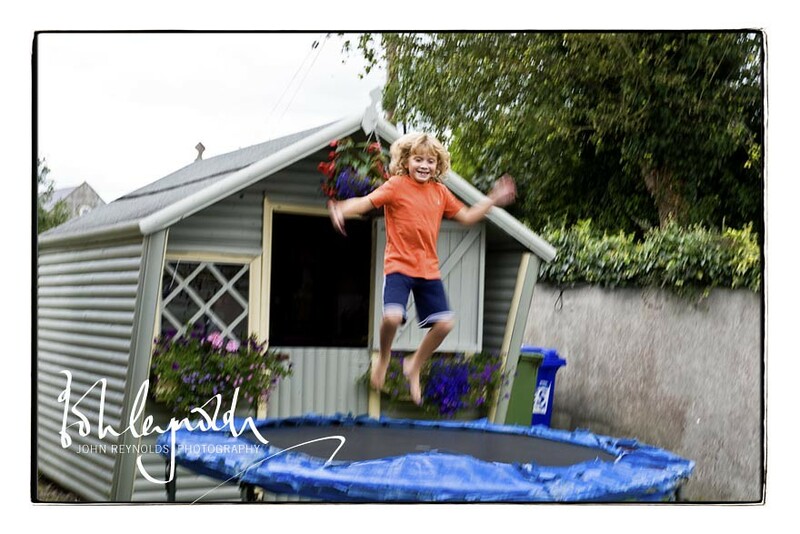 Even so, Toby the King Charles, and Triona's Dad PJ were able to stay relaxed, while Pageboy Liam took to the trampoline to overcome any pre-wedding nerves. The ceremony was conducted in great humour by the wonderfully-named Fr Pierre Pepper. 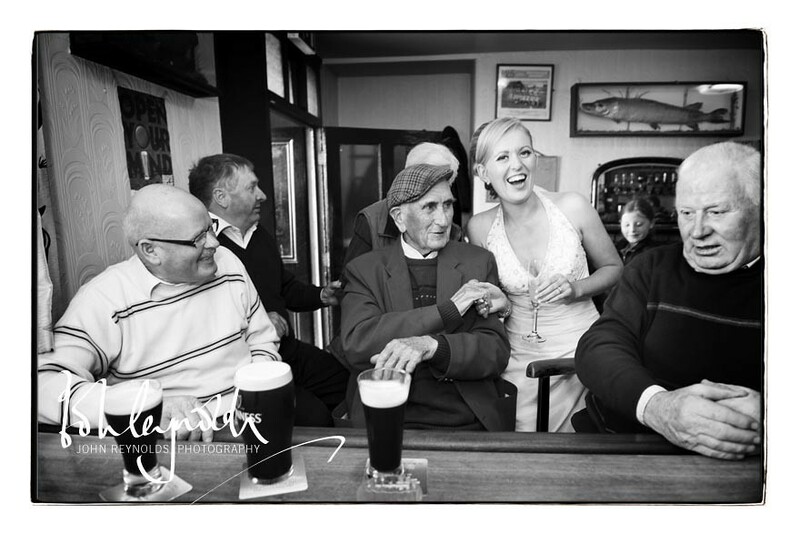 As Triona works in The Railway Bar, there was another little ceremony to be conducted when she pulled John's first pint (Smithwicks) as a married man, before having a drink with some of her regulars. One of the dangers of stopping for a quick one in the local after a wedding is that it can be very hard to leave. 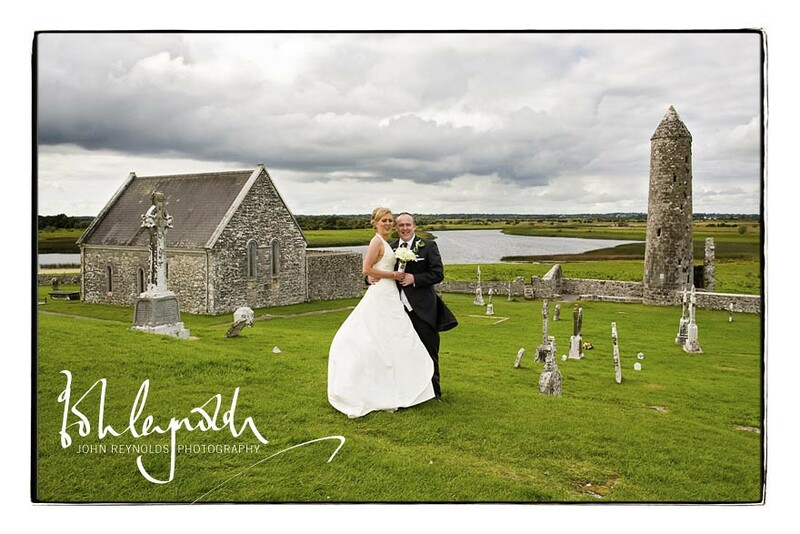 John anticipated this on Friday, so he barred the bridal party, who were sent straight on to Clonmacnoise to wait for us. They took it in good heart though. 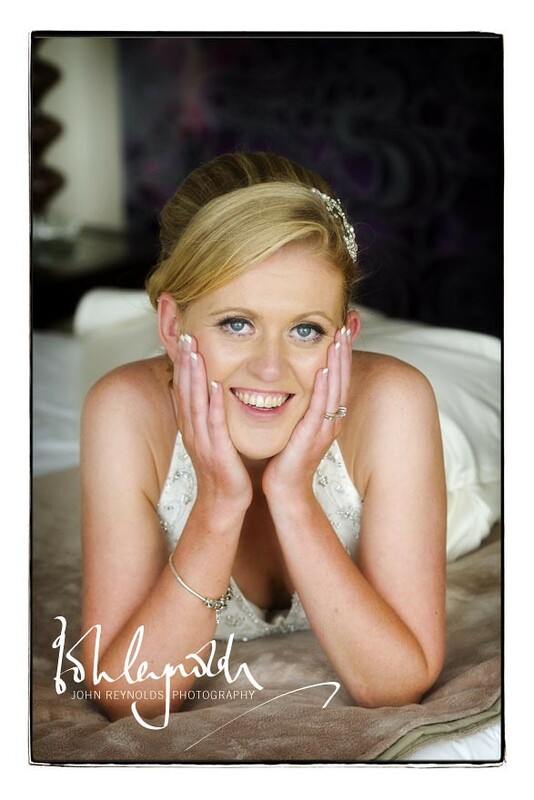 It was my first time to photograph a wedding in The Sheraton, and Nigel was a great help in escorting us around this large hotel, where we visited the bridal suite for the view over the Shannon and The Presidential Suite for a special request for Triona. 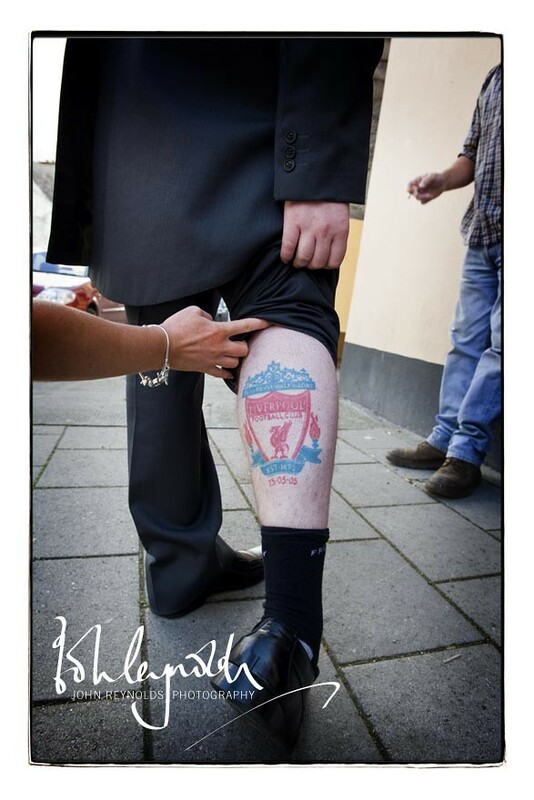 Again, my groom was a big Liverpool fan - and he could prove it. I seem to be a magnet for Koppites at the moment! 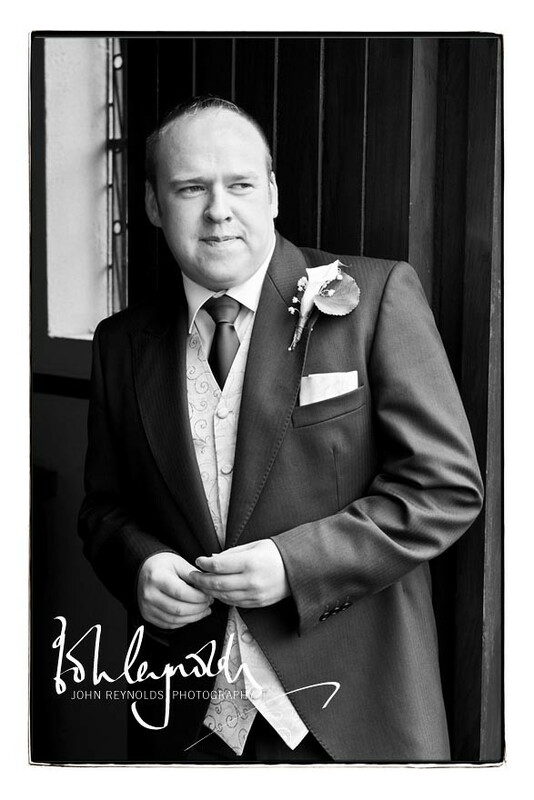 gr8 pics de came out fab cant wait 2 c de hard copies! !